I LOVE TO READ YOUR NEWS ABOUT ALL TOPICS YOU EDIT. IT IS PERFECT TO UNDERSTAND WHAT .THANK YOU VERY MUCH ANG GOD BLESS NYSRS. I don’t know if I’ve designated any beneficiaries. Can you check? If you send your letter “certified mail — return receipt requested,” you’ll be sure we’ve received it. This January, we are launching Retirement Online, a convenient and secure way to manage your benefits. You will be able to verify your identity and check your beneficiaries through Retirement Online. If it’s been some time since you’ve reviewed your account, you may want to simply designate new beneficiaries. To do this, complete the appropriate designation of beneficiaries form. Can beneficiaries be changed at any point after retirement? 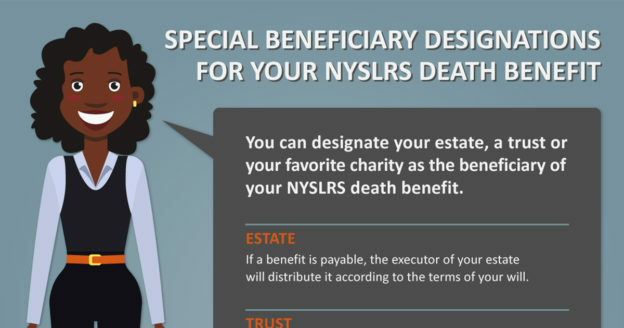 The specific death benefit you have determines whether you can change your beneficiaries after retirement. Unfortunately, the NYSLRS social media team doesn’t have access to your retirement account information. 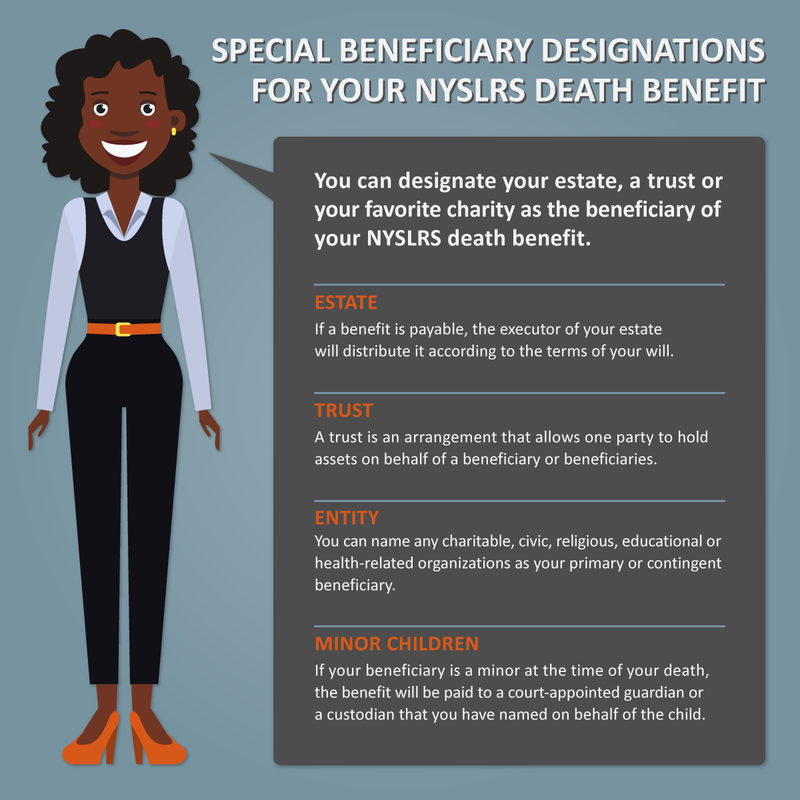 We say that, because there are a few possible death benefits that may be available to NYSLRS members and retirees, depending on their years of service, retirement plans, employers and the pension payment options retirees chose at retirement. If you’re not yet retired, you can find more general information about the death benefits that you may leave here on our blog. Your plan booklet, which you can find on our Publications page, has more details about your available benefits, including eligibility requirements. Are designated special needs trusts treated the same as listed for trusts? Or are there different rules regarding special needs trusts.